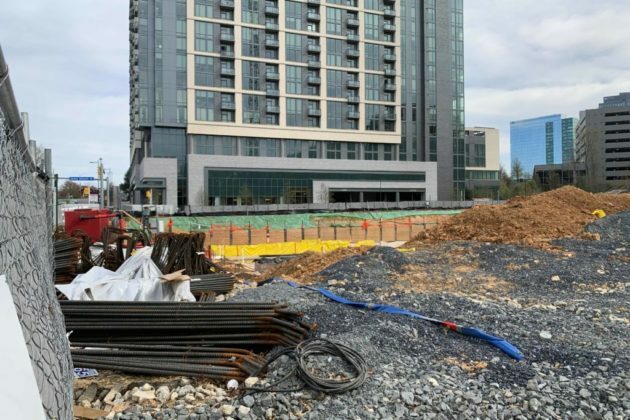 There’s already been a substantial amount of digging and preliminary work at the Monarch, a 20-story condominium tower northeast of Tysons Galleria, but last week the project officially broke ground. The tower at 7887 Jones Branch Drive is now under construction with an opening scheduled for late 2020. 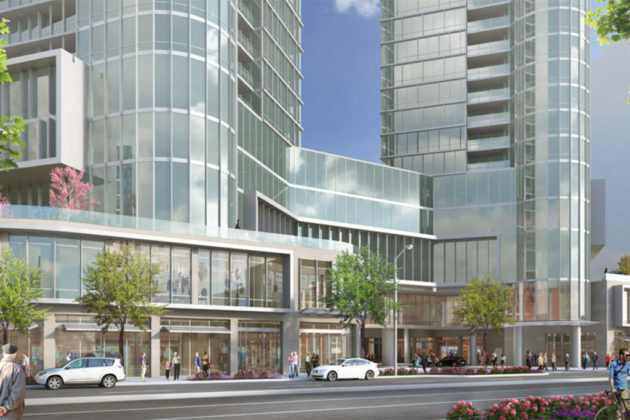 The site is planned to have 94 residences with a dozen floor plans, from 880 to 3,4000 square feet, meaning the building will have a range of two to six units per floor. 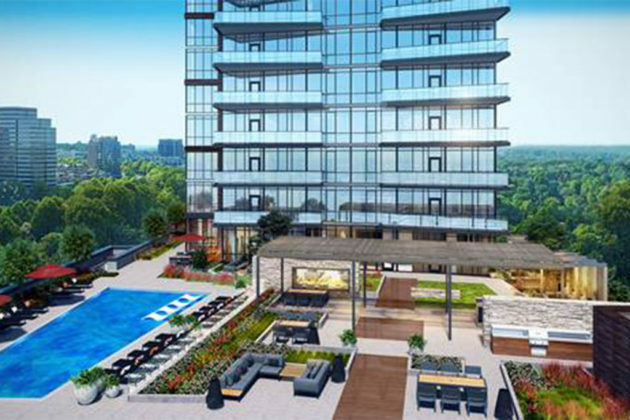 Designs show that all residents will have floor-to-ceiling windows and outdoor balconies. Prices range from $600,000 to just over $3 million. 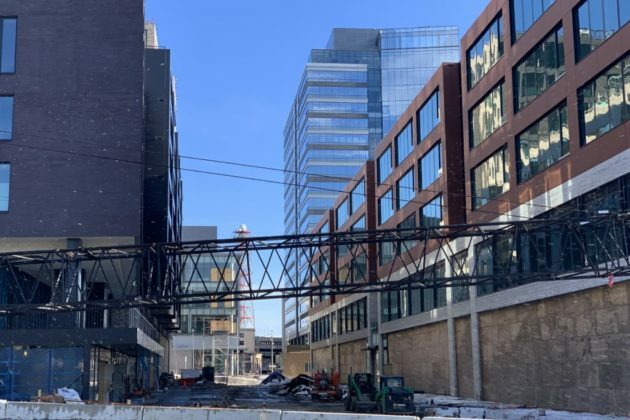 The project is part of the Arbor Row development, a 19-acre stretch of mixed-use buildings along Westpark Drive. The first building of the project, the residential Nouvelle, was completed in 2015 and the next phase, senior living facility The Mather, is going to the Fairfax County Planning Commission next week. 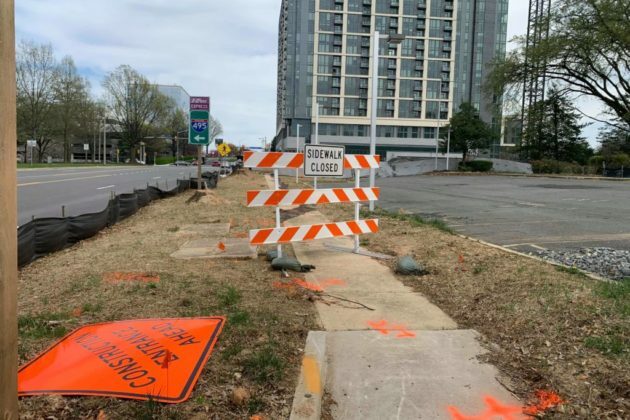 While the project is planned to be walkable in the long-run, locals should be aware that construction activity has temporarily closed the sidewalk along Westpark Drive. 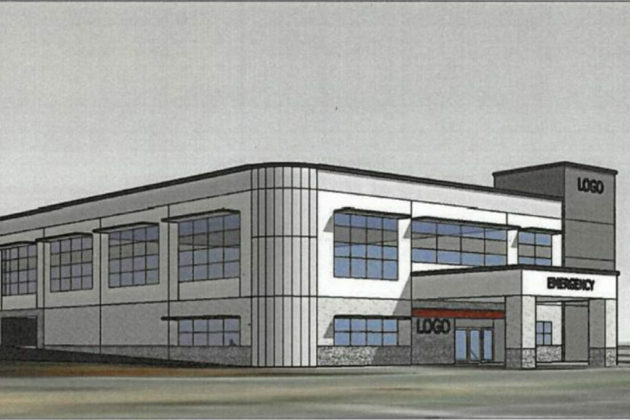 A hotel planned near Leesburg Pike has been nixed by the developers in favor of a new athletic field. 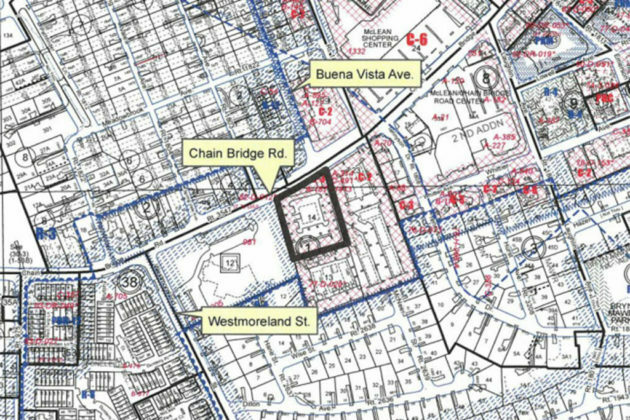 The field is proposed for 8229 Boone Blvd, a street parallel to Leesburg Pike and halfway between Chain Bridge Road and Gallows Road. P.S. Business Parks owns the property. The athletic field is part of fulfilling requirements associated with the developer’s The Mile project northeast of Tysons Galleria. 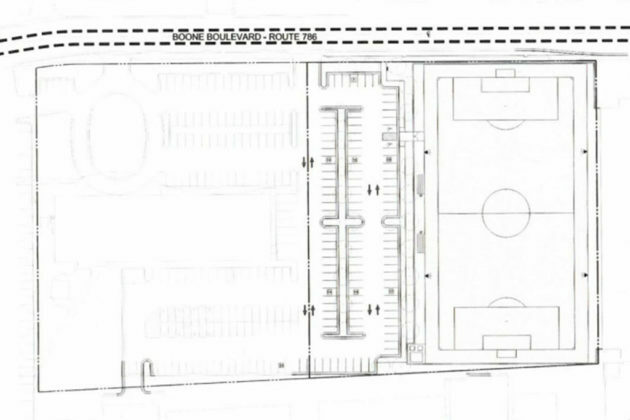 The application notes that the field will include synthetic turf, field lighting, bleachers and other equipment. Parking for the field will be located in the Tycon II and Tycon III office buildings next door. The proposed athletic field will serve the growing needs of the Tysons community. 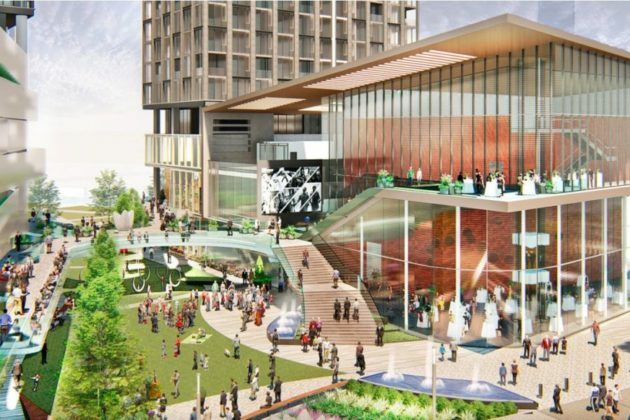 It is consistent with the Comprehensive Plan, which calls for developers to provide athletic fields in Tysons… The proposed soccer field will satisfy the field expectation associated with the rezoning and development of The Mile, a residential mixed use development in the North Central District. 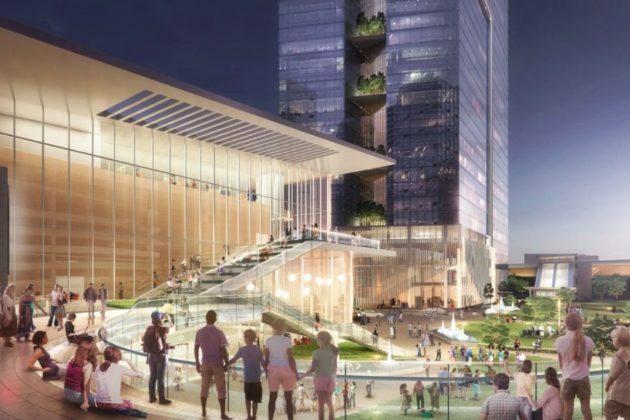 It’s a move that will likely be popular with local citizens groups, which have called for more athletic fields to be added throughout Tysons. 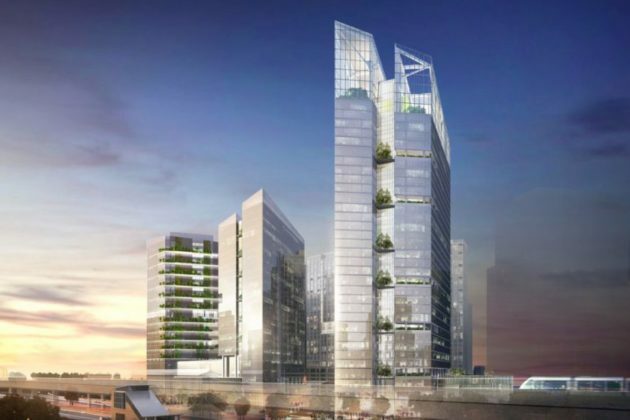 Developers of a distinctive curved-glass tower called One Tysons East have promised to make peace with the local bird population and improve nearby roads. 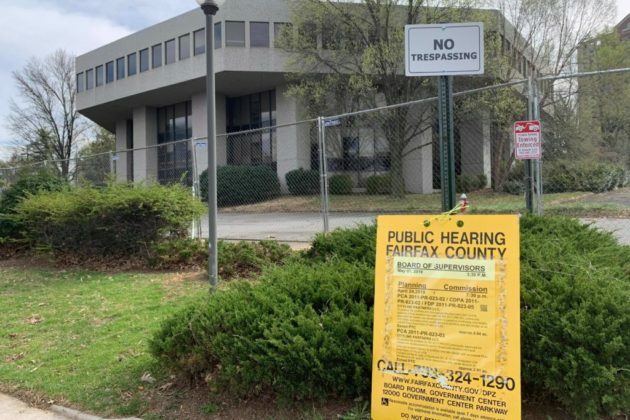 With an endorsement from both the McLean Citizens Association and the Planning Commission at last night’s (Wednesday) meeting, approval of rezoning for the project at a Board of Supervisors meeting next Tuesday (April 9) seems likely. 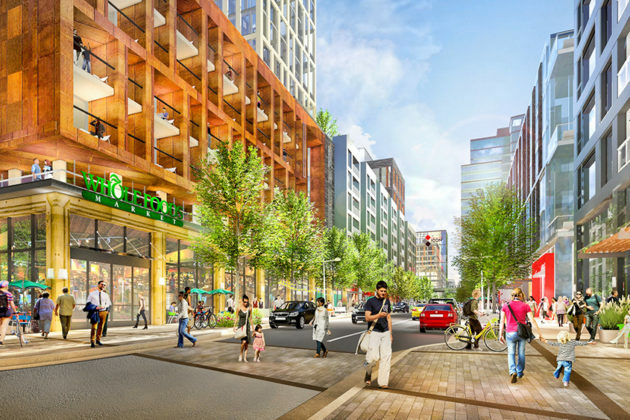 But while the project seems to have had a relatively smooth development track so far, Providence District Planning Commissioner Phillip Niedzielski-Eichner noted that it raises issues in the air and on the ground that will need to be addressed as more of Tysons East is developed. 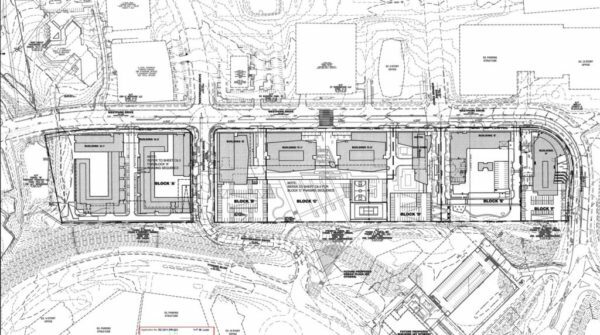 There are 27 pages of proffers — accommodations on the part of the developers offered to Fairfax County to get a development approved — associated with the project. Among them are a series of transportation improvements for Old Meadow Road, including new street lanes and a potential bike lane. But Niedzielski-Eichner noted that new developments planned throughout Tysons East are going to put a considerable strain on the four-lane street. Niedzielski-Eichner also said problems with how the glass building might impact birds came up during the development process. The proffers included an obligation on the developer to make changes to the building design to deter bird-strikes. In an effort to reduce bird injury and death due to in- flight collisions with buildings, the Applicant will include one or more bird friendly design elements, as determined by the Applicant, in the design plans of the building. The bird friendly design elements may include, but not be limited to, the use of color, texture, opacity, fritting, frosting, patterns, louvers, screens, interior window treatments, or ultraviolet materials that are visible to birds, the angling of outside lights, curbing of excessive or unnecessary night-time illumination in commercial buildings, reduction of bird attracting vegetation, the use of decoys, and breaking of glass swaths. It’s estimated that between 365 million and 988 million birds are killed in the United States each year from crashing into windows, with an average 24 expected to die annually at a single skyscraper. 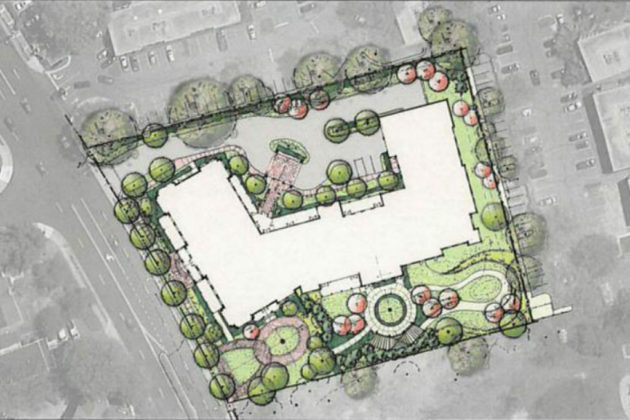 (Updated April 8) Despite a host of other compromises, the Sunrise Senior Living Facility and Vienna Town Council are still at odds over the project exceeding the town’s height requirements. Both parties agreed at a work session on Monday (April 1) that there’s been compromise from Sunrise. There were modifications made to spaces on the ground floor and mezzanine and the number of proposed units was taken down from 85 to 83. But a mezzanine that cuts just under the town’s 50-percent coverage limit for what can be considered a floor is still a sticking point for Town Council members who say the project is out of line with the town’s five-story height limit. 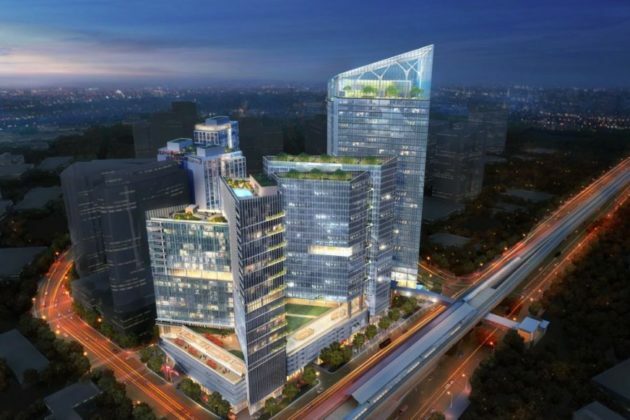 Jerry Liang, senior vice president of development for Sunrise, argued that Vienna should reframe its limits rather than force the building to come in under a certain height. The next public hearing for the project is tentatively scheduled for April 24, when the Planning Commission will discuss the development. 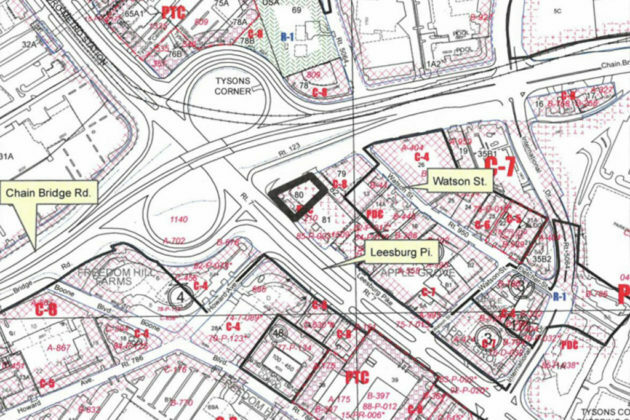 Reston Hospital Center (RHC) has a new plan to built a freestanding emergency room on Leesburg Pike in Tysons. 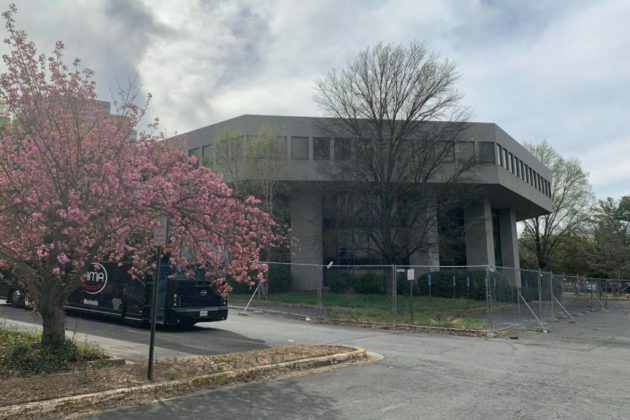 RHC plans would put the emergency room inside a renovated three-story building at 8240 Leesburg Pike, next to the ramp to Chain Bridge Road, as first reported by the Washington Business Journal. The new building would be emergency facility only — no medical offices or other hospital-related spaces. “The provision of necessary emergency health facilities and services to meet the increased numbers of employees, residents and visitors is an essential component of a vibrant Tysons,” RHC stated in its application. 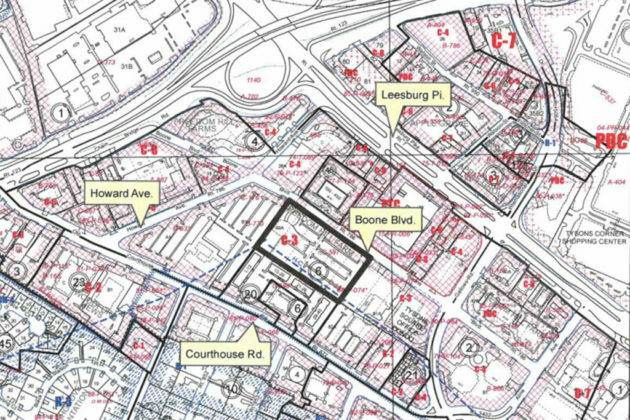 While the building would require a special exception from Fairfax County, it would not require the rezoning that the RHC building proposed at 2000 Old Gallows Road in Tysons would have. 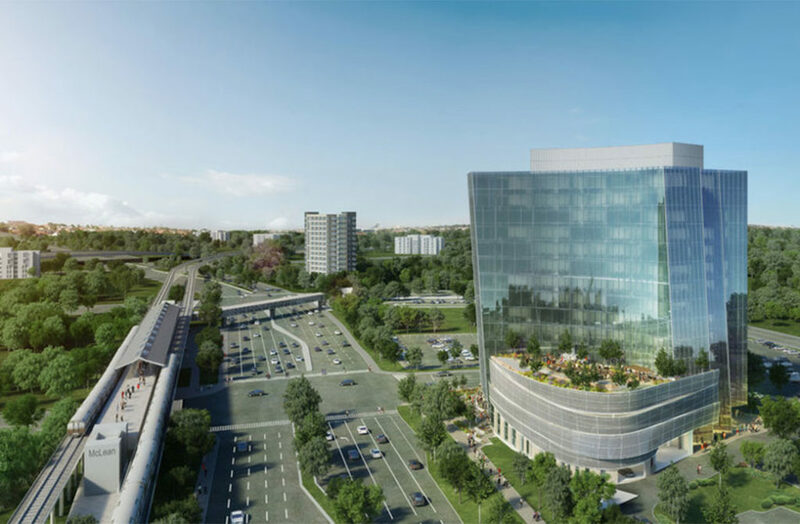 “As Tysons continues to develop with additional office buildings and homes, it is essential that convenient and accessible health care services are available to meet the increasing need,” the hospital wrote in the 2000 Old Gallows Road application. 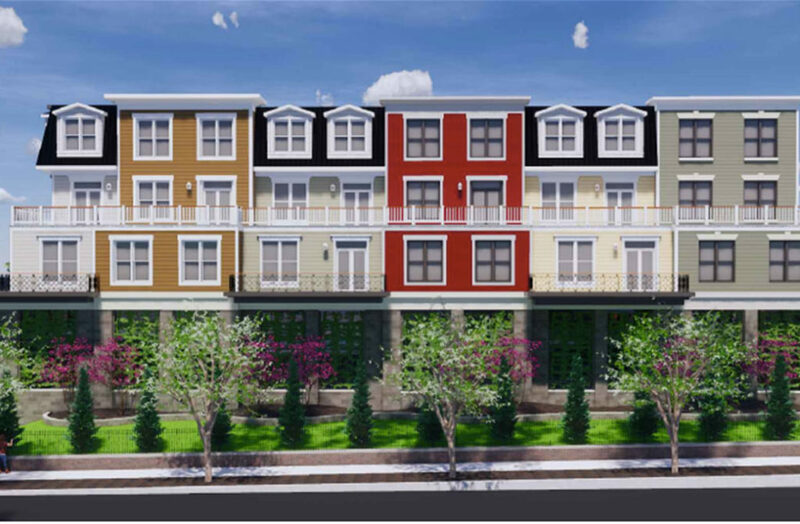 The redevelopment of 380 Maple Avenue is set for a Vienna Planning Commission review tomorrow, but whether the project will get the extra story it’s requesting remains to be determined. The project faced pushback from members of the Vienna Town Council earlier this year when it and another Maple Avenue development seemed to be pushing the limits on what was acceptable under the town’s height limits. The Maple Avenue Commercial zoning rules dictate that the height of buildings on Maple Avenue is limited to four stories. 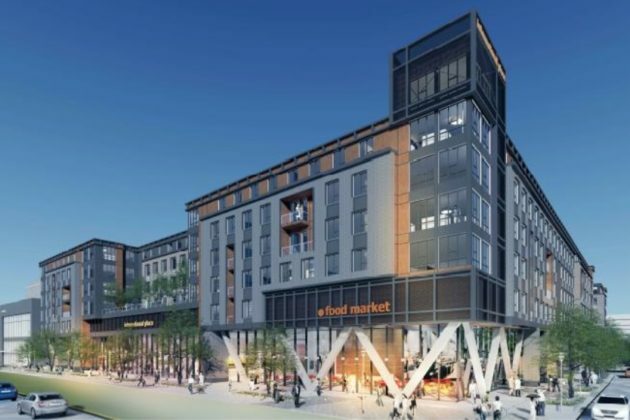 According to the staff report, the applicants — Red Investment LLC and MJW Maple LLC — are requesting a modification with an additional story of above-ground parking. The application also includes a modification request for a nine-foot awning, which encroaches three feet into the front yard setback. “Staff finds that the application meets the requirements of… the Town Code, with the exception of the requested modifications of requirements,” staff said in the report. During work sessions with the Planning Commission and Town Council, options with the extra story and without the extra story were both presented. According to the applicants, the new parking deck would significantly increase the number of available parking spaces for retail tenants.